Feature artist: Muses Trio / Dreaming Big Series at Eudlo Hall, in association with Rosebed St Gallery. Guest speaker at Muses Trio “Reclaiming the Spirit” performance Sat Mar 12, 2016 at Caloundra Regional Art Gallery. Turner is a professional artist, working for over 35 years across many media as well as teaching in Australia and overseas and she has a CV to match, which includes an extensive exhibition profile in public and institutional galleries, significant art prizes and she is represented in private collections. 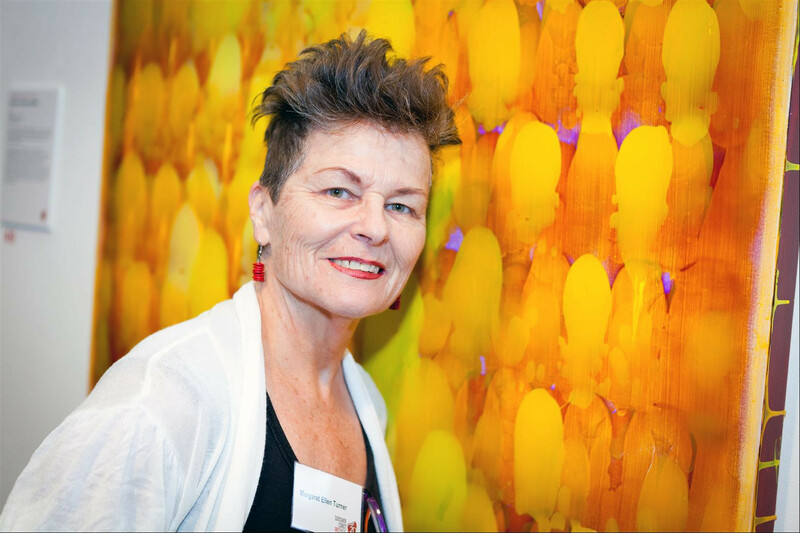 In 2013-14 Turner’s work was short-listed in five national art awards, she won the 2013 Kenilworth Painting Prize and had major solo exhibitions of her work at the Art Gallery of the University of the Sunshine Coast, and the J at Noosa. She also coordinated and participated in two regional gallery instantiations of True Stories from the Studio, an exhibition of work by art lecturers from the Sunshine Coast TAFE as well as participating in other group shows and art competition finals. She works full time in her studio. See more of her work at margaret-turner.com.au and also at rosebedgalleries.com. Photo credit: Wild Honey Photography.